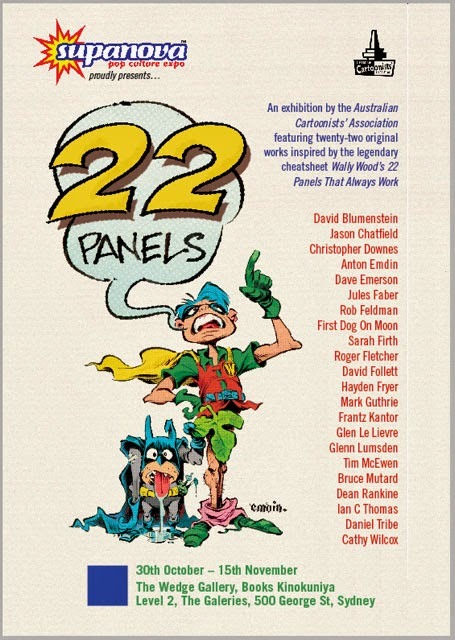 FANS of Wally Wood, Australian cartoonists and free champagne were in attendance at the launch of the 22 Panels exhibition at Kinokuniya Books in Sydney's CBD last Thursday night. I drank far too much reasonably priced Australian sparkling wine, but it didn't diminish my enthusiasm for the pieces I sw. 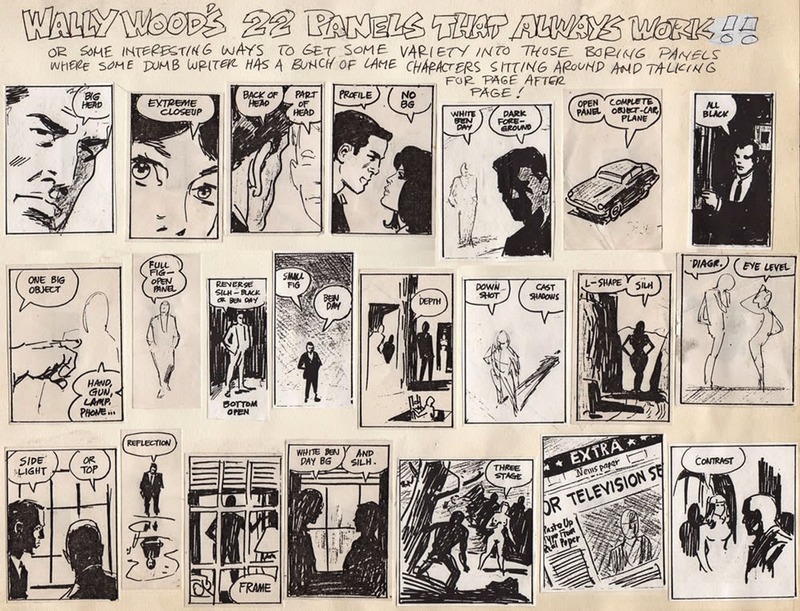 The exhibition showcases 22 original panels from some of our finest pop culture artists, celebrating Wood's legendary cheat sheet/advice to aspiring artists titled "Wally Wood's 22 Panels Taht Always Work!!" For comic book fans with a sense of history (and a love of local artists), it's a fun exhibition and it's open to the public until November 15. Check it out at The Wedge Gallery, Kinokuniya, Level 2, The Galeries, 500 George Street, Sydney. Wood's Panels That Always Work is © & ™ Wallace Wood Properties LLC. All Rights Reserved.